Research has shown that one of the key factors in making cars stronger is the evolution of the A- pillar. The A-pillar is the section of a car that separates the windscreen and the side windows. Over the years in an attempt to enhance the overall structure of the car motor vehicle makers have created an ever sturdier A- pillar. The downside to this increase in strength, however, is that the A- pillar has created a blind spot the obstructs the vision the numerous modern car drivers. It is the responsibility of drivers to take into account any restriction in vision caused by an A- pillar. More than 90 percent of the information from the cars external environment is viewed by the driver through the windscreen and windows. So, you should be aware of the potential restriction the A- pillar may cause in your ability to scan the road ahead. Many crashes occur during incidents of "Multiple Vehicle Overtaking". A driver does still sees the vehicle behind him in his rearview mirror but fails to take into account the driver overtaking several vehicles at once who may be in his blind spot! How can we prevent these crashes? With an increase in blind spot crashes several vehicle manufacturers have devised safety measures to assist drivers in preventing these crashes. Volvo and Mercedes have blind spot cameras that flash a warning onto the car mirror if they detect another vehicle. Mercedes and Citroen have lane departure warning systems that shake the steering wheel if the car is drifting. We found the following description from "HowStuffWorks" on the difference between Active Blind Spot Monitoring and Passive Blind Spot Monitoring"
Active Blind Spot Monitoring: A typical blind spot monitoring system uses some kind of electronic detection device(s) mounted on the sides of the car (often in the vicinity of the external rear view mirrors or near the rear bumpers) that sends out either electronic electromagnetic waves (usually in the radar wavelengths) or takes computer-processed images with a digital camera and analyzes them. When one of these detectors notices another vehicle getting too friendly with your car, it tells you about it, usually by flashing a light in the driver's peripheral vision or by making audible sounds -- often using both methods, depending on how likely it looks that you're going to steer your car into the other car. In the most advanced systems, your car will even try to steer itself back into the safety zone of its previous lane. Passive Blind Spot Monitoring: Passive-blind spot warning systems involve -- surprise! -- a mirror. Talk about low tech!  Many car manufacturers will offer you the alternative to putting a special convex mirror in the corner of your current external rearview mirror that can see into areas where normal rearview mirrors cannot. And if you don't have one of these on your current car, you can probably walk into your local auto parts store, buy one, and install it yourself (though be warned that experts advise against self-installation because the precise positioning of these mirrors is crucial). Amazingly, tests have shown these special mirrors, which are the cheapest form of blind-spot monitoring system imaginable, are every bit as effective as sophisticated (and expensive) radar-based systems. And surveys show that consumers who have used both actually prefer the mirror to the radar -- if only because the mirror doesn't blink annoying warning lights at you or make beeping noises. So it's possible that the best state-of-the-art blind spot monitoring system may be one that's been state-of-the-art since the ancient past. It is vital to make sure that nothing is concealed before changing lanes moving off or performing a manoeuvre such as pulling out of a parking space. People on foot or on bikes are easy to lose in the space behind a pillar. Check and adjust your mirrors and find your blind spots. Check your blind spots by turning your head to look over your shoulder before changing lanes, passing, turning or before opening your door when parked next to traffic. Signal when you want to move left or right. Check again to make sure the way is clear and steer gradually into the new lane, maintaining the same speed or gently increase it. Be alert to the fact that the driver next to you might not be aware of your presence - and rather increase or decrease your speed to avoid being in his blind spot. 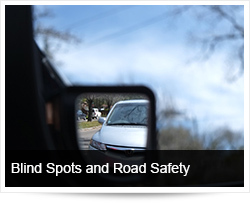 Stay out of other driver’s blind spots, especially large vehicles like trucks.